If you’re anything like us (and we know you are! ), you like to be the first in your friend group to test out a new trend. Come on, we know you were the initial girl to slip into a pair of cool white ankle boots, toss on a fashion puffer, or swing the latest It bag over your shoulder. Well, as we end 2016 and kick off the new year, chances are you’re looking for the next big thing in fashion, right? To help fill us in on what’s going to be massive in the fashion world in the coming months, we chatted with Hailey Baldwin’s stylist Maeve Reilly about the one item worth investing in now. “The next thing is the long bomber,” she said. “I love it for winter when it’s actually cold.” We’re totally on board. While regular bomber jackets will still be around, an updated, longer silhouette feels fresh and different. The orange lining on the inside is a nice (stylish) surprise. All of the zippers on this style (especially on the side) give it an extra-cool edge. You can't go wrong with classic black. This bomber would look so cool with a hoodie layered underneath. While you could wear this as a dress like the model is here, we'd pair this silhouette with cool copped jeans and ankle boots. The quilted detail feels very right now. The leather sleeves make this particular style feel even cooler. This parka is incredibly warm. 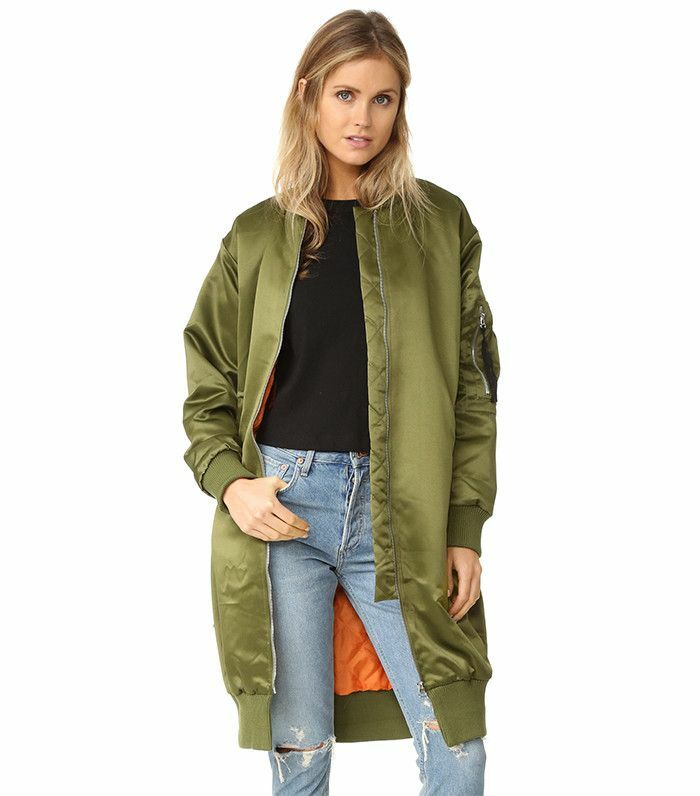 This bomber is incredibly unique with its knit-like fabric. Fashion girls love this patchwork style. Will you test out this trend? Tell us what you think in the comments below!